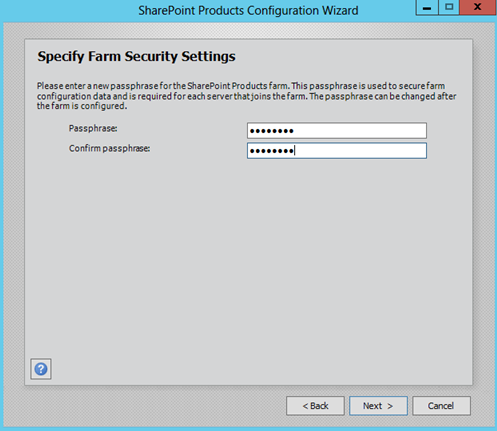 For SharePoint installation I have logged in with SPAdmin account, and also have created one more account for which will have administrator rights on SharePoint farm ( SPFarm). 2) Mount ISO file. 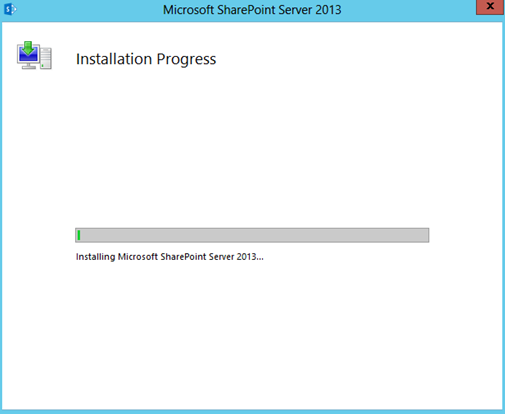 and start installation process. 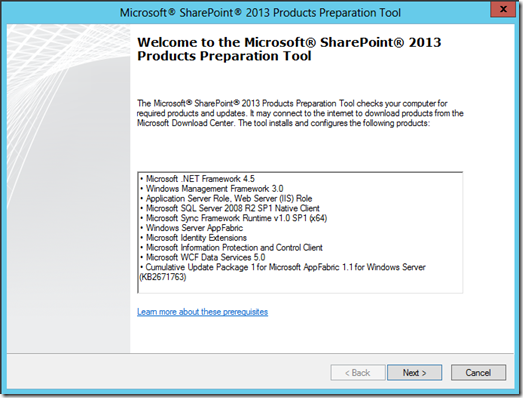 Before starting installation SharePoint Server, need to install software prerequisites. 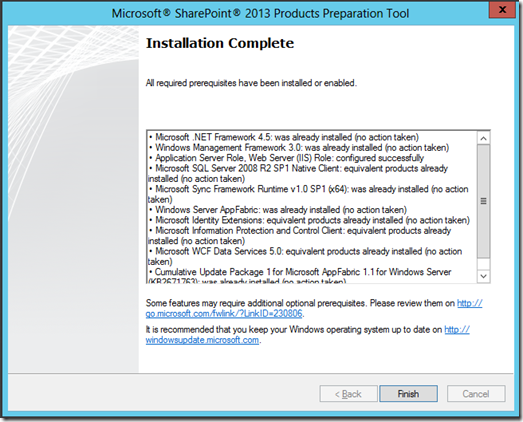 So click on Install software prerequisites. 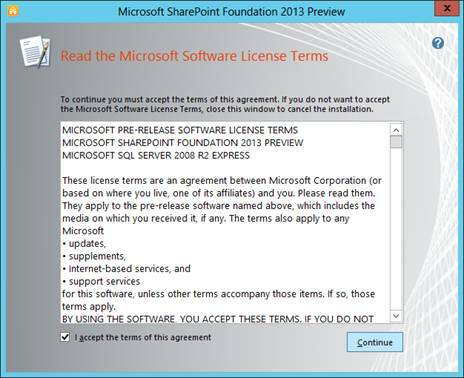 Accept and terms and licence agreement and go next. 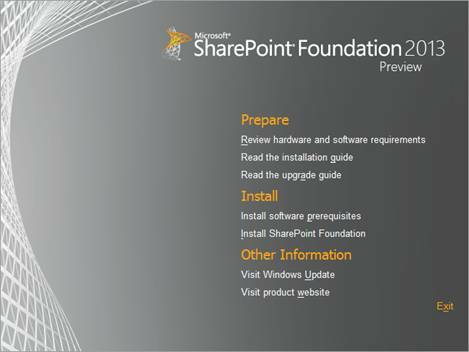 After the above step you can proceed with the actual installation.Once installation of Prerequisite is done. 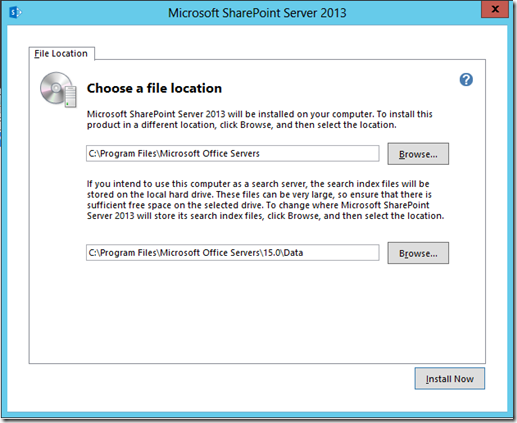 Click on Install SharePoint Server. Enter product key and Continue. 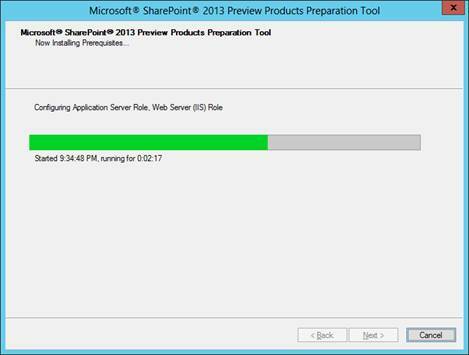 Wait for a few minutes for the installation to be completed. 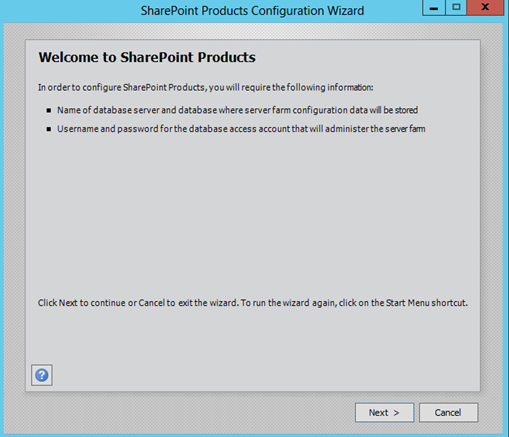 Once the installation is completed you will be launched with the Products Configuration Wizard. clicking on Close button then Wizard will run. 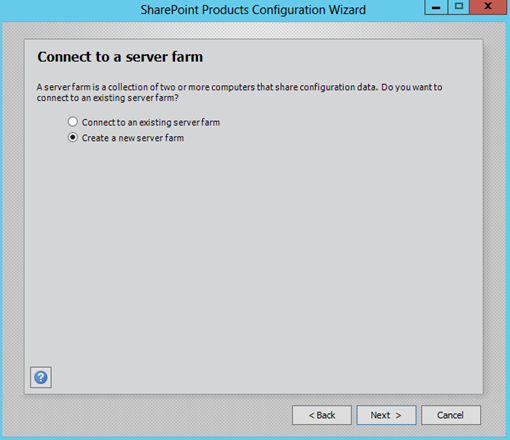 Click on Next and select Create a new server farm. 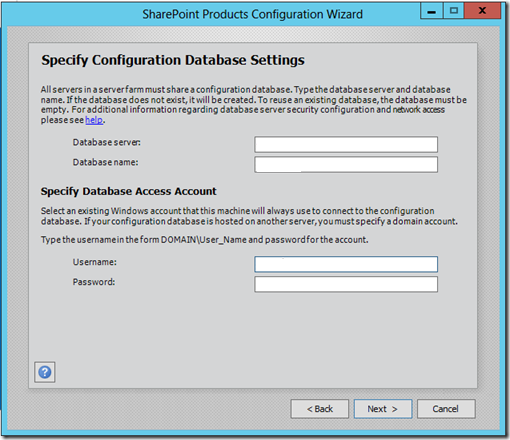 Enter Database server name (Server name on which SQLServer is installed). 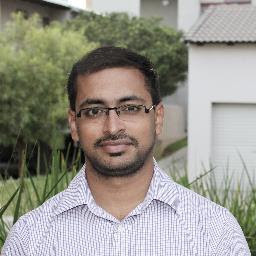 Database name: Enter Database name. Username : sp.local\spadmin (which I have created in AD(Active Directory)). 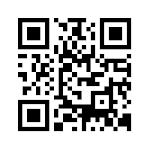 Password : (Password set for Spadmin account). 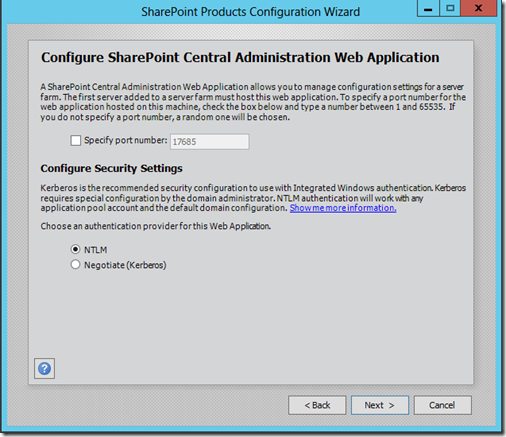 Specify Central Administration port.If you want you can change it . I have select 9999 port number. 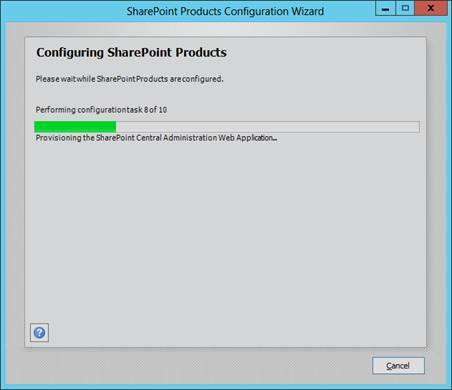 Wait for the configuration activities to be completed. This should take around 10 minutes. 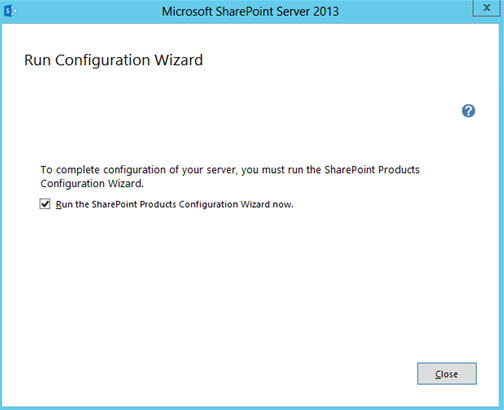 Once the Configuration is done you will get the following message. Click on Cancel button. 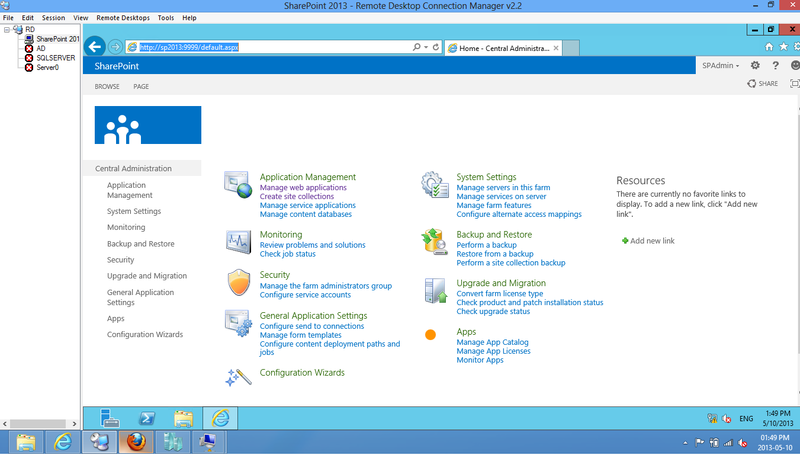 This will open Central Admin web page. 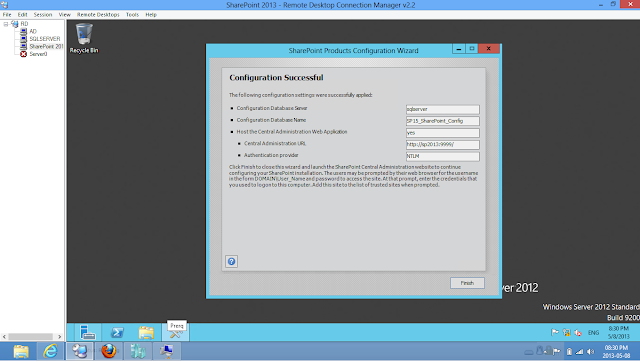 This is the Sharepoint2013 step by step process with the help of Sreeni. 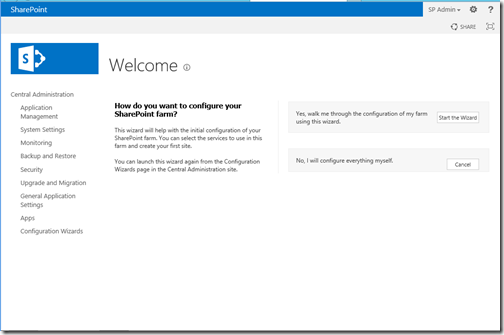 Cannot connect to the configuration database.